A thinning hair can be a source of low self-esteem. Step out of your self-pity and bald with grace with our collections of the trendiest hairstyles for balding men. You might be living your life to the fullest in your 20s. With enough hair to flaunt and the youthful age at your side, you will have no cause for alarm. However, as you step into your 30s or entering your golden years, the hair starts to decline. This is not for the oldies because the younger generations also share the same fate. 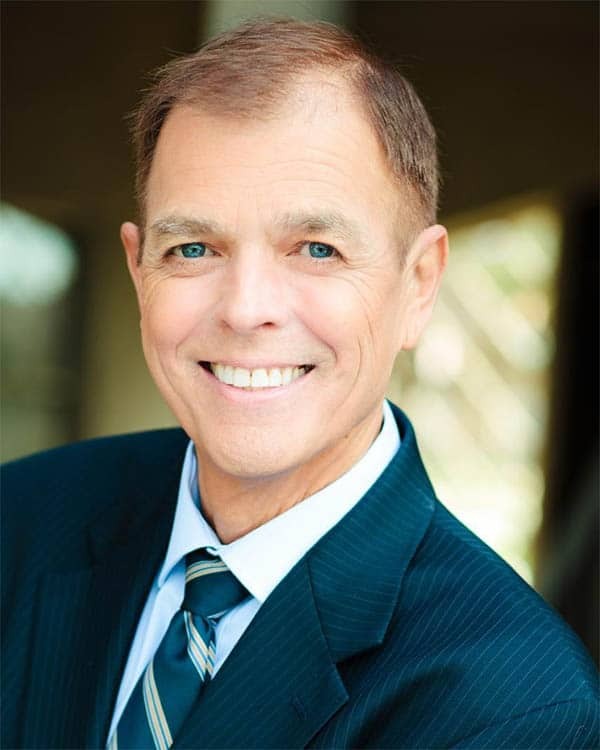 While the signs might not be much, as you get to your 50s, the receding hairline becomes noticeable. Don’t be quick to panic. If you happen to be one of the folks that suffer massive hair loss, your focus should be on finding solutions. The best way to start is locating the matching hairstyle. You can now bald with grace with the right haircut. Will you not rather choose the best cut for men who are balding than combing over the few strands? You can make your pick from our inspiring collection of haircuts for balding men and bald with grace. If the strands are not close to the actual bald length, they will make a good show off on a brush back with tapered waves. 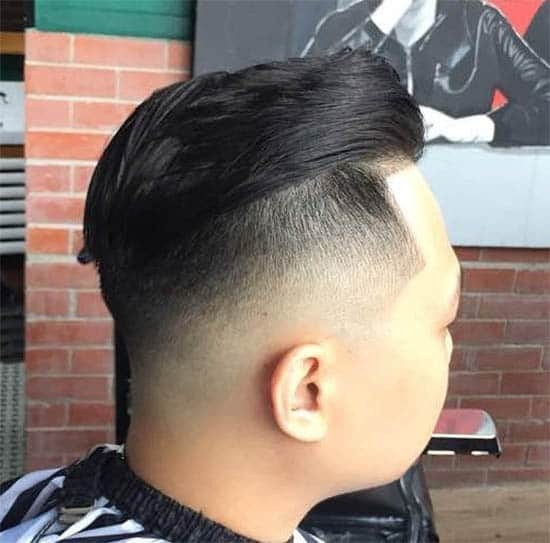 The wavy haircut is a perfect shot for balding men. By concealing the length of hair, the cut combines with the tapered strands to create a compelling look. 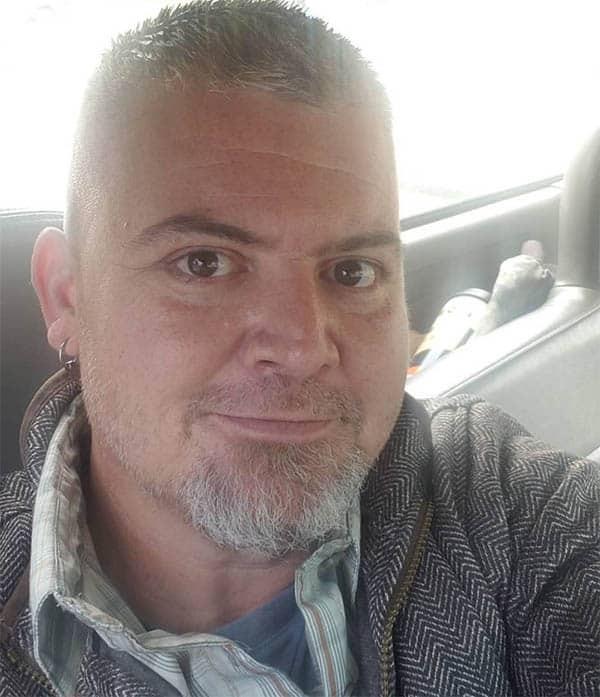 The Mohawk is a great style for the balding men. 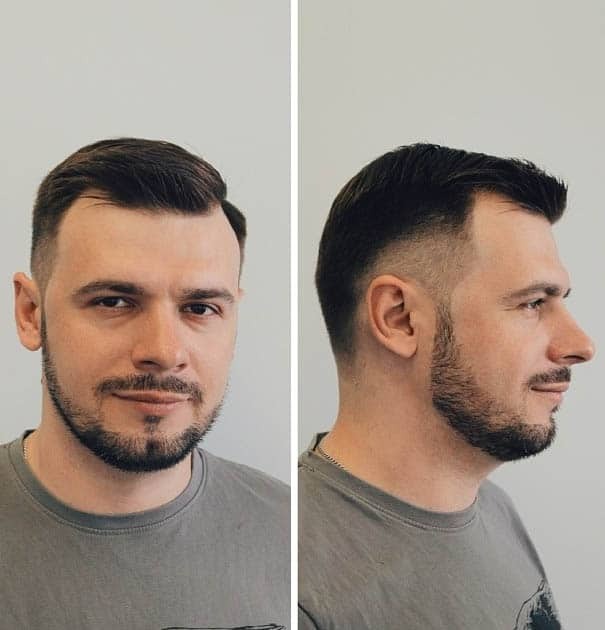 You can complement it with shaved sides. Before you set about doing this, make sure you have the facial feature. The style looks great on a square face. 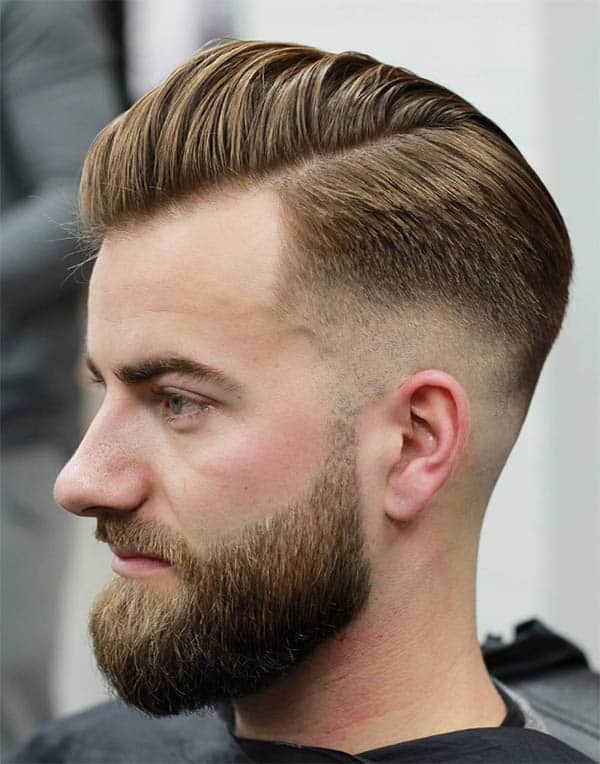 By drawing attention away from your receding hairline, the concentration will be on the demure short Mohawk at the top and a great deal of shaving at the sides. A side also looks good. The beauty of the comb over haircut seems to be reserved for the balding man. The cut works just like the wavy hairstyle – concealing the receding hairlines. What we have here lets you maintain medium strands. A side parting at the middle adds more glamour to the chopped strands. 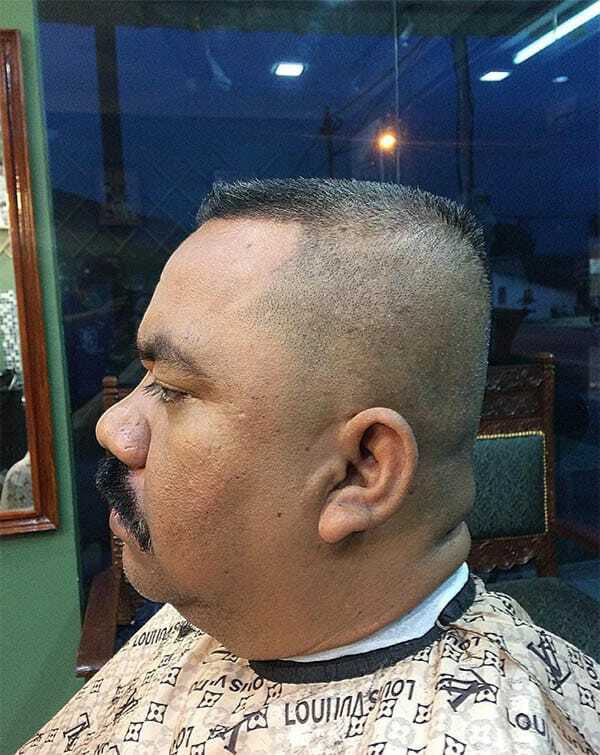 A taper fade comes in at the sides to finish the job. 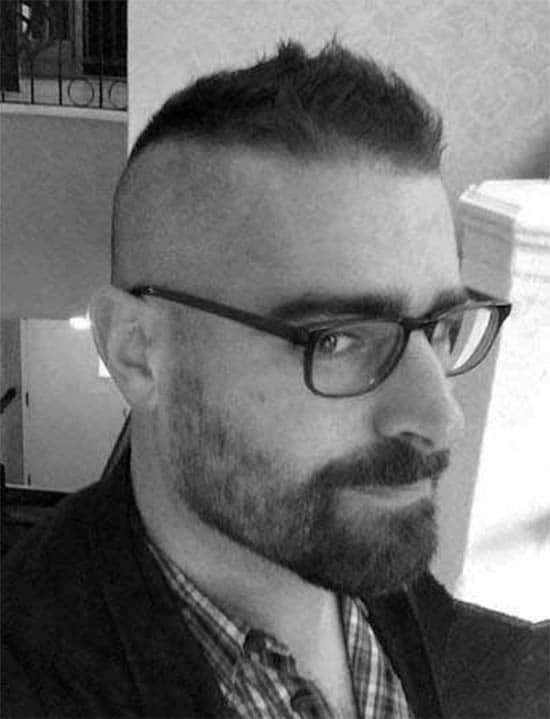 The high and tight is a classic definition of haircuts for bald men. The style is great at covering the thinning hair. To emphasize the facial features, throw some fades to the sides and maintain some strands at the jawline. This style is not only for men with voluminous hair. 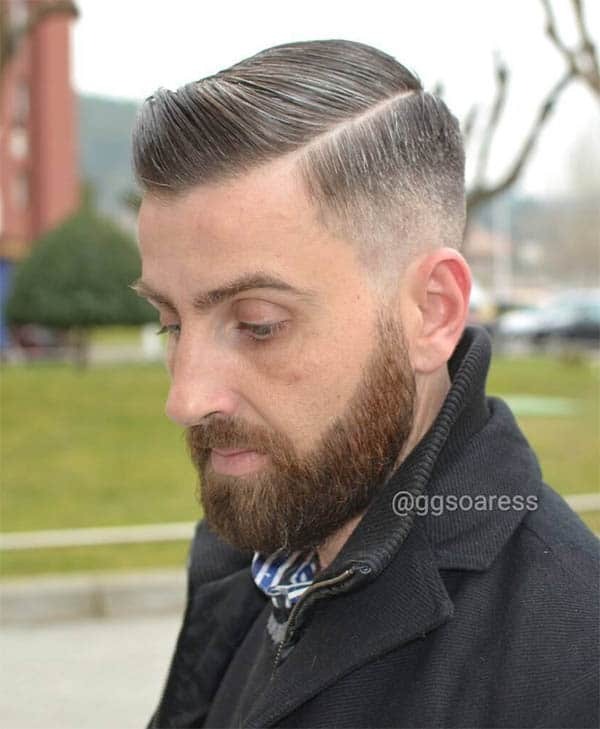 When you spot receding hairline at the top, inspire your barber with this cut. 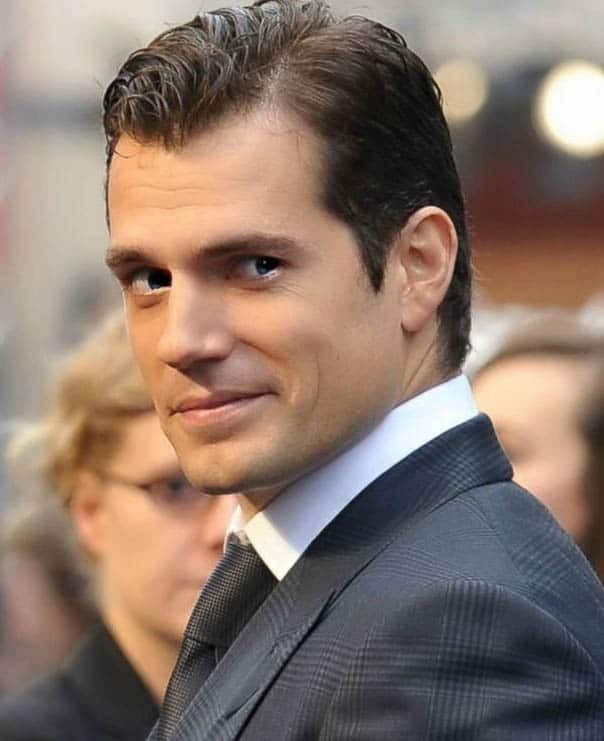 It is a popular notion that the slick back is the perfect cut for balding men. So, give yourself top a lift with this cut. 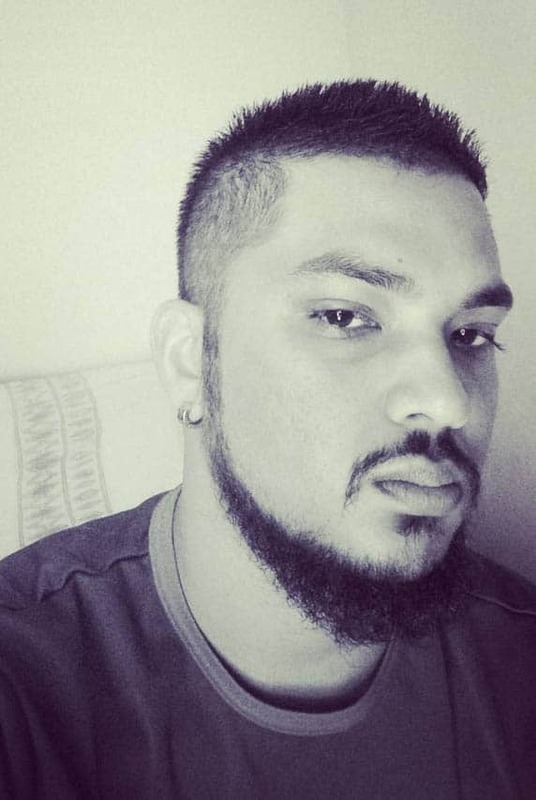 All you need to keep it in one piece is regular brush backs and regular visits to the barber. This is not much work. Keeping a messy top will be a giveaway to the thinning hair. If you are looking at hiding it, a short fade and tapering around the ears is the best option for a sleek look. 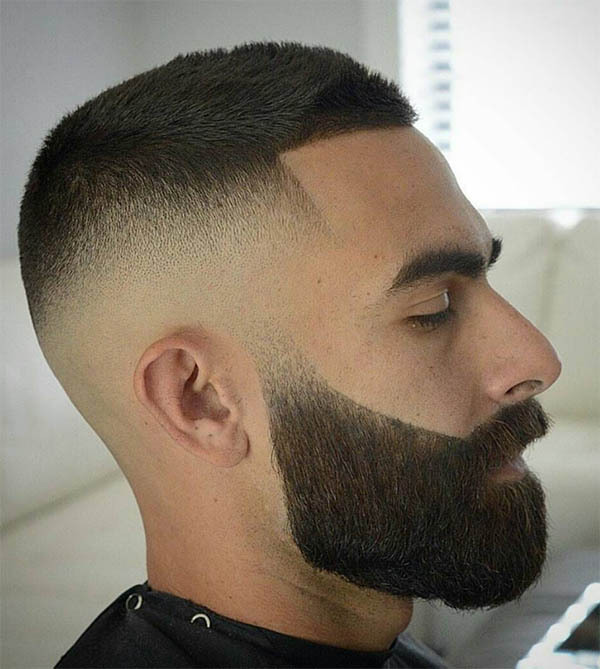 You can add a side part and spot a well-trimmed beard to evoke some sweet vibes. This might really be giving away too much about the thinning hairline. However, a barber with good styling skills can pull this off. The invention is to keep the sides and crown short. For the top, a sweep to the front is the way to go. You do not have to look further for the perfect description of what a bald haircut looks like. For the man that does not wants to give away his hairline, the bald fade is the perfect option. However, you can still make this colorful with short strands at the top and bald fades at the sides. Do not mistake this for the traditional hairstyle for the hairy man. Haircuts for balding men do not have to be limited. 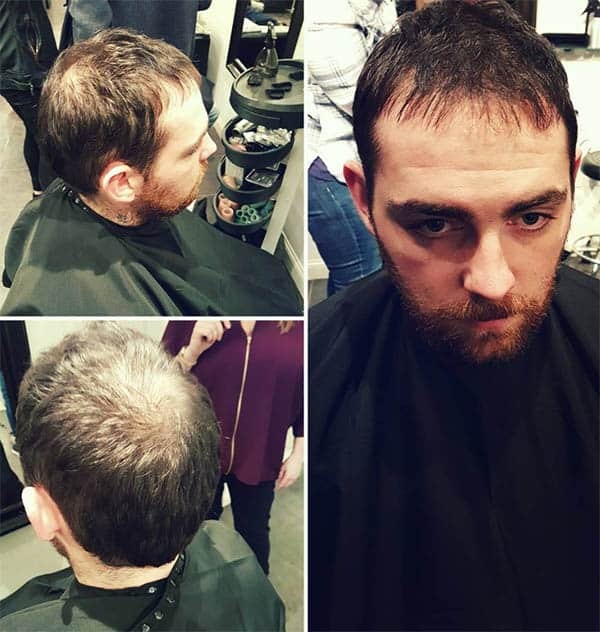 Adding some styles and different shades of fades add contrast to the thinning hair. 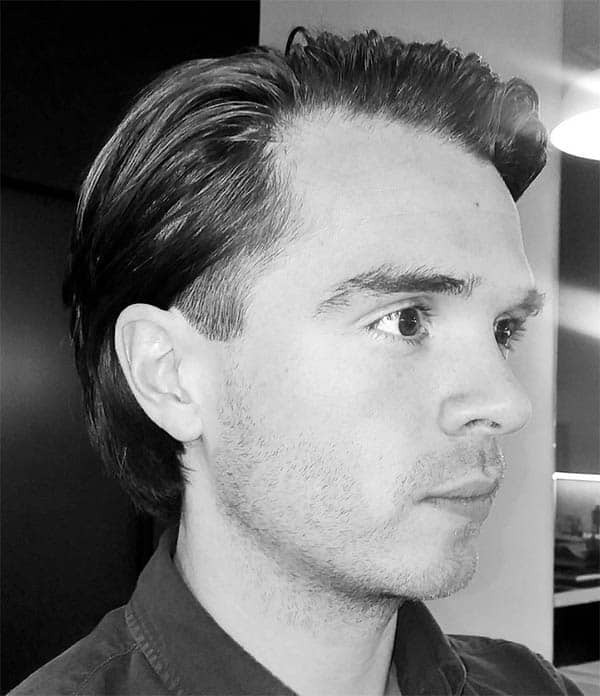 For this cut, maintain medium strands from the front to the crown. 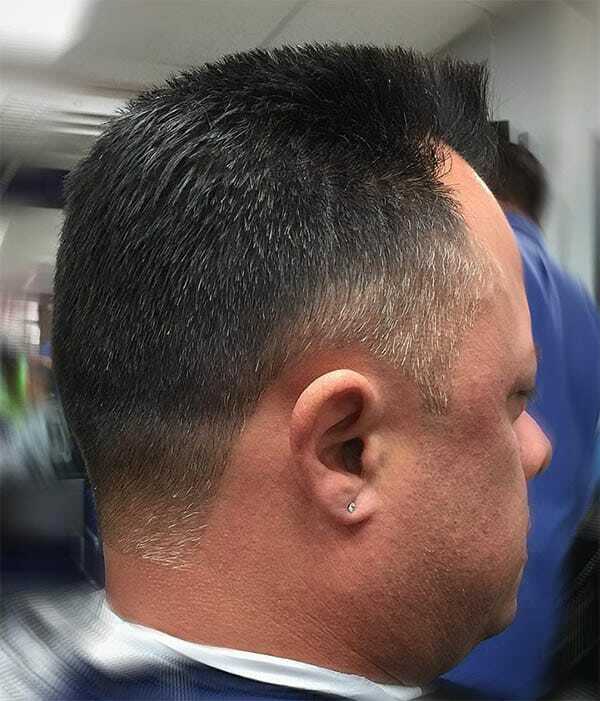 The remaining parts of the head get skin fades. Tapering and flat top haircuts make a great combination on any hair. 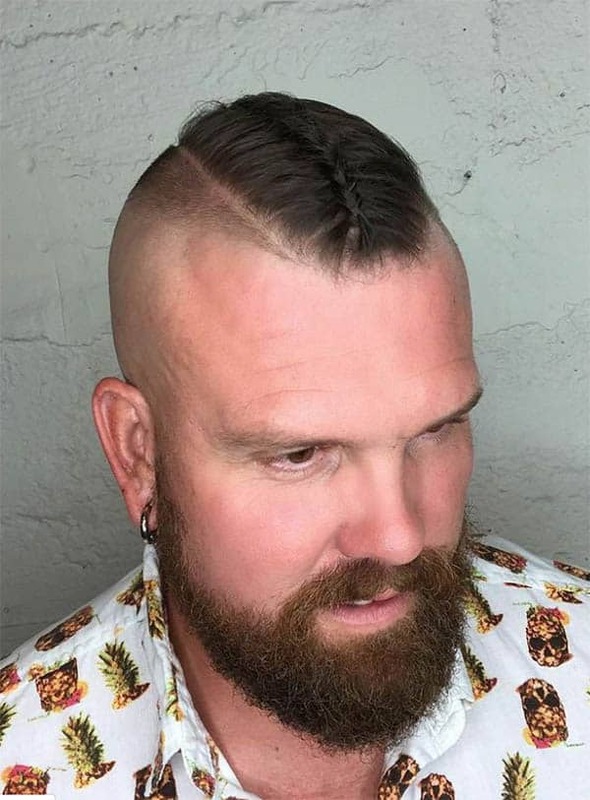 To pull this off for the bald haircut, consider adding a spiky look to the top. 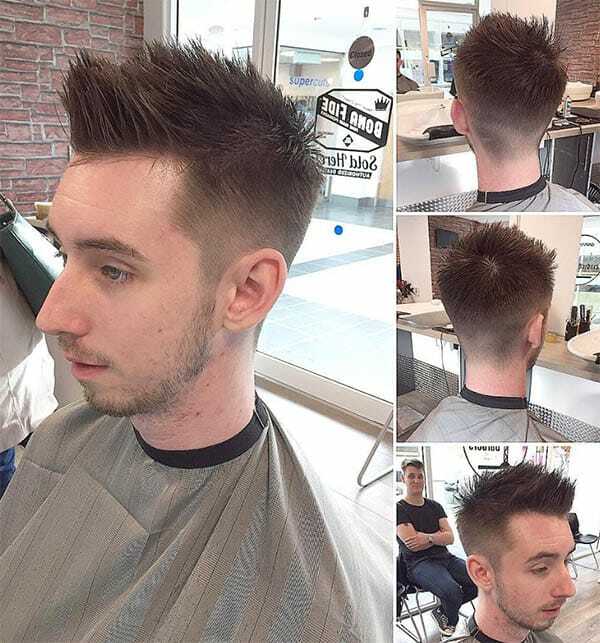 For the sides, well-tapered designs and a line up is the way to go. There is a lot of glamour that comes with a unique haircut. The short cut is a nice way to rock your balding hair. The neatness draws away the attention from the thinning hairline. 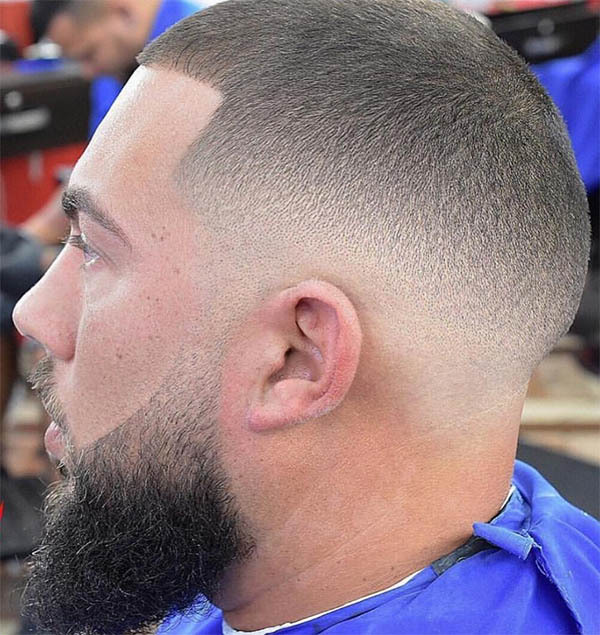 You can direct the barber to add lineups to enhance the look of the uniform length. 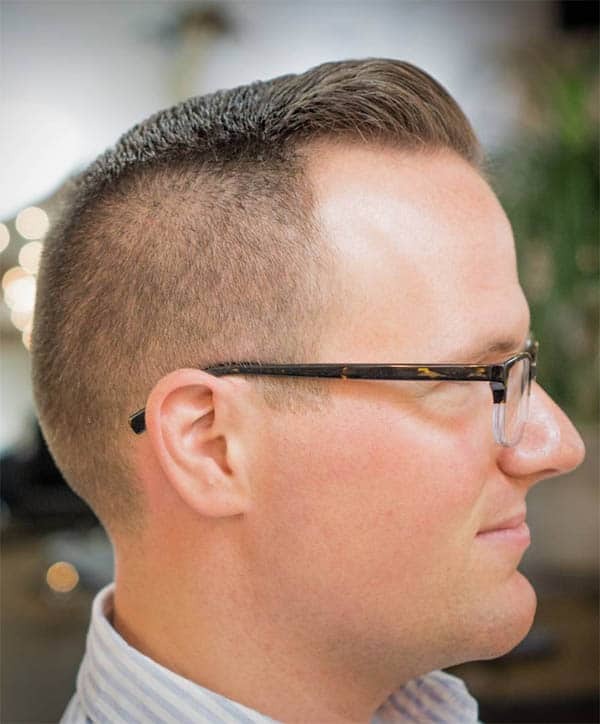 Without a doubt, the high and tight is a perfect cut for balding men. In addition, you can reinvent the looks with some coloring. 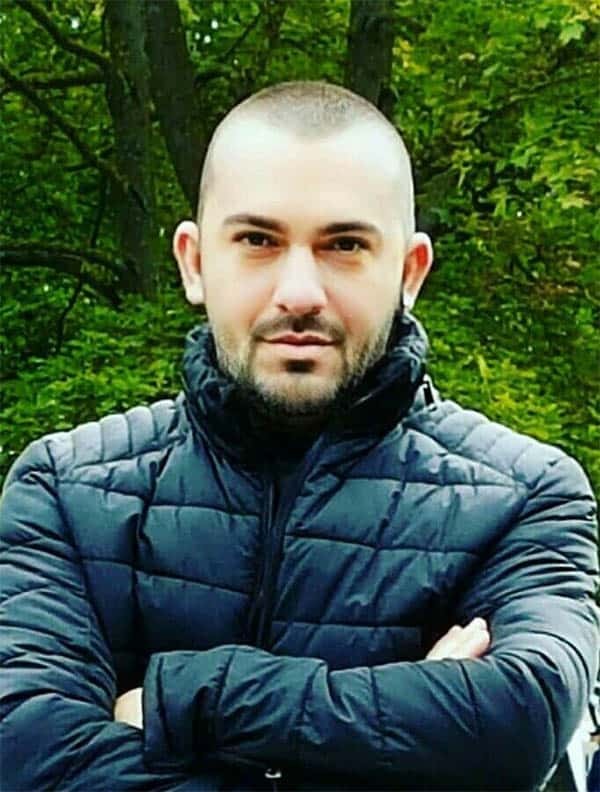 If you are not on the sides of the golden age but you wish to make impressions with the cut, consider adding some grey colors to accentuate your hairstyle. The front sweep and sweep back haircuts are quite impressive. If you are looking at styling a hairstyle for your thinning hairline, the layered sweep back is a good option. This works best for medium hair. It entails trimming the ends of the strands and sweeping them back in layers. 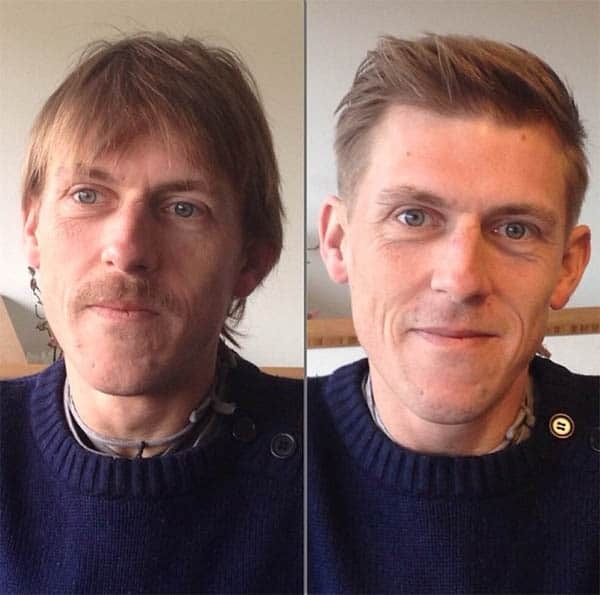 A thinning hair can be away from the public eye for long. However, if yours is acute, it is time to thrown some inventions to the styling. 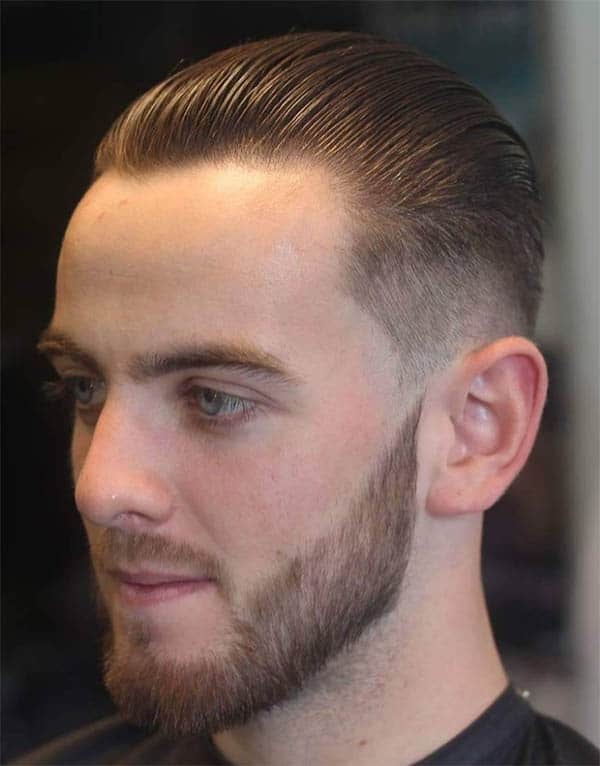 This cut entails rocking a stylish comb over and adding a side part beside the thinning hair. 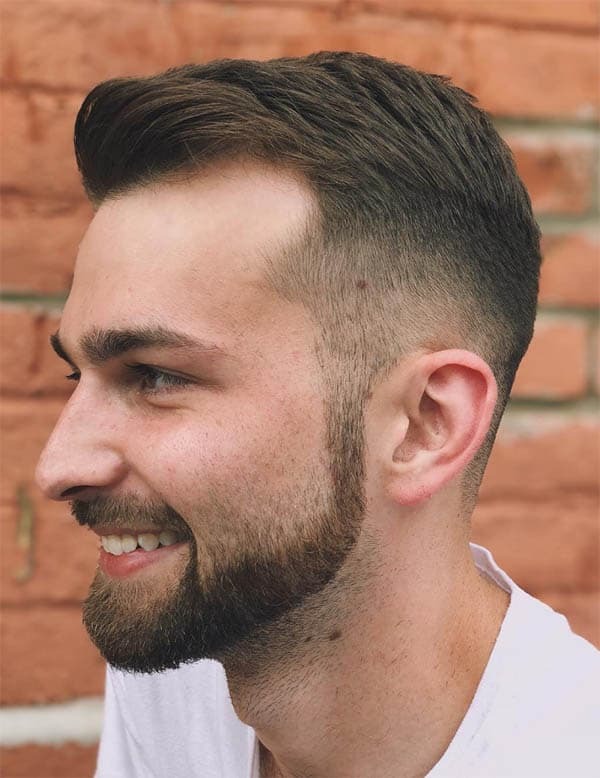 The quiff hairstyle is a unique cut you should lay your hands on. The short crew cut looks amazing on the face of a balding man. By slightly growing the top, you will be giving room for a discreet cover-up of the thinning hair. A stylish tapering at the sides should be handy to finish the job. The clipper is a great tool in the hands of a stylish barber. 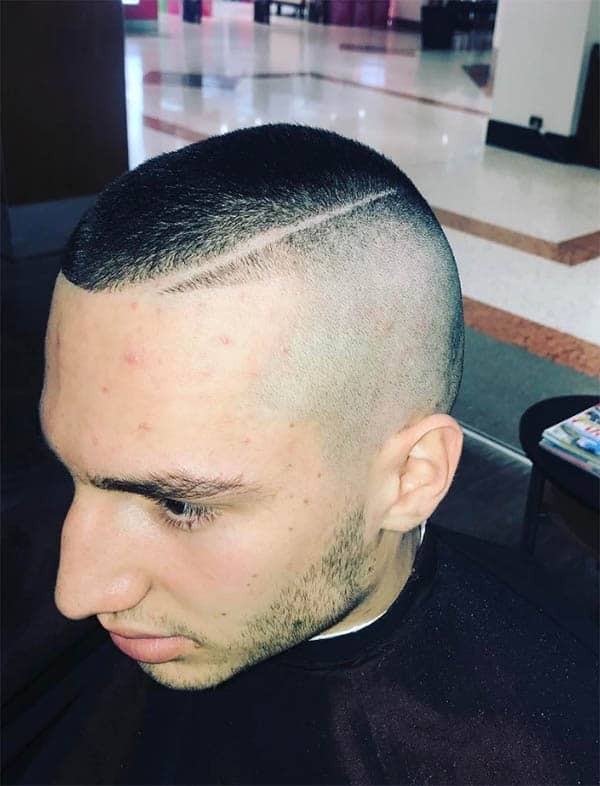 In spite of the fact that the receding hairline is slightly visible, the clipper taper design does a great job to cover it up. A side part can also come in to enhance the looks of the side-swept strands. The spikes are coming back! This time, they are making the way to the thinning hair. The textured spikes at the top get polished and messy touches. 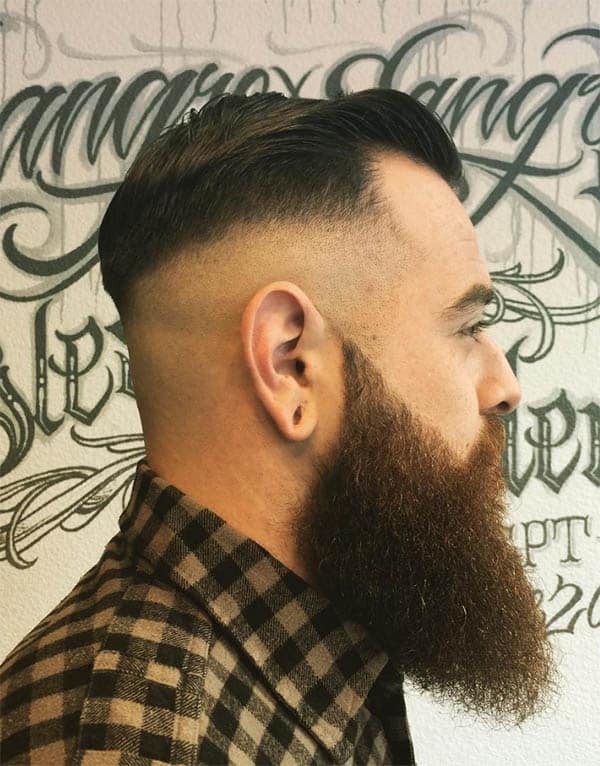 Do not forget to add skin fades at the sides and rock some beard too! 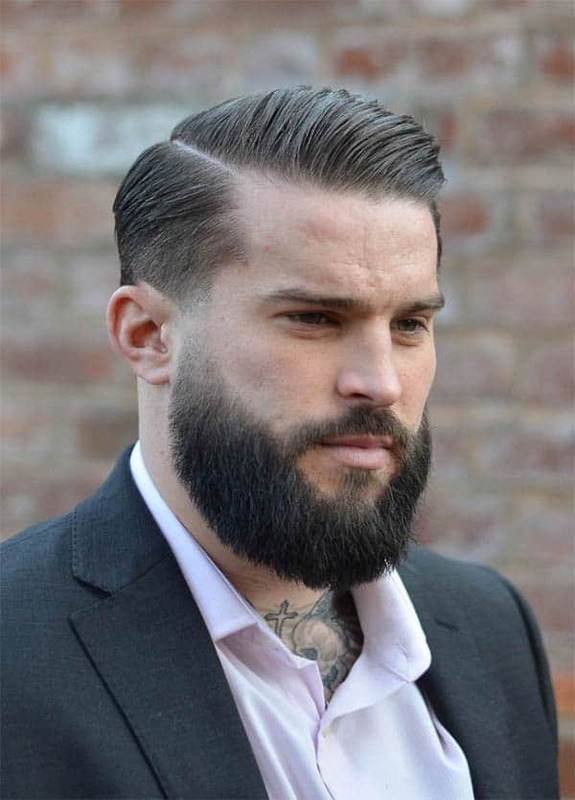 This style will work for any man regardless of the hair length. 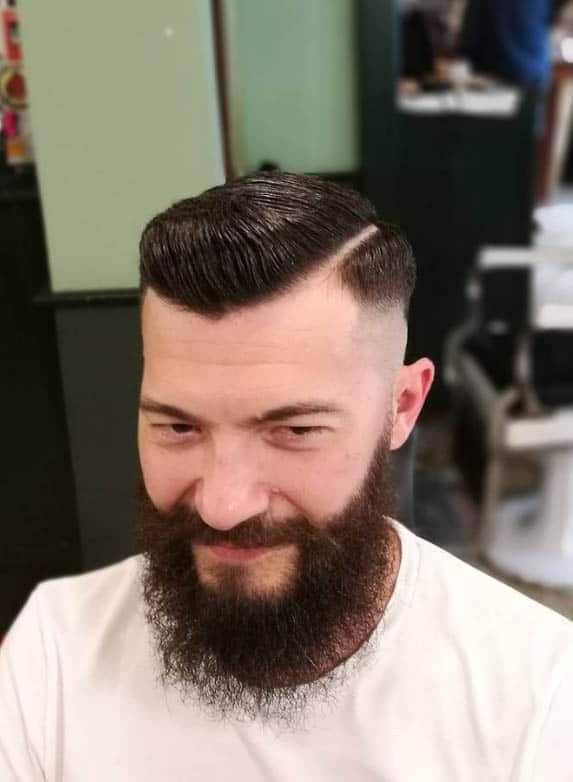 The simple design that features a medium top and short sides demand a touch of the slick back and side part to enhance the look. 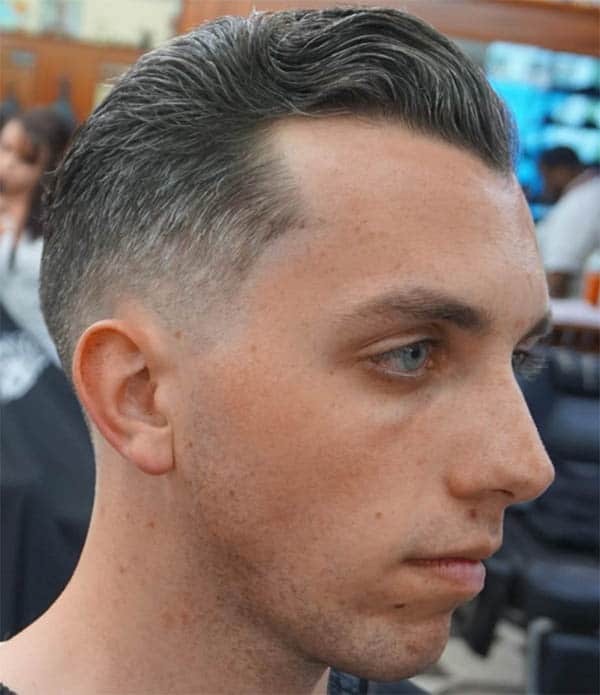 While a close look can reveal the secret behind the cut, a chiseled taper fade with a stylish pompadour is the way to go. 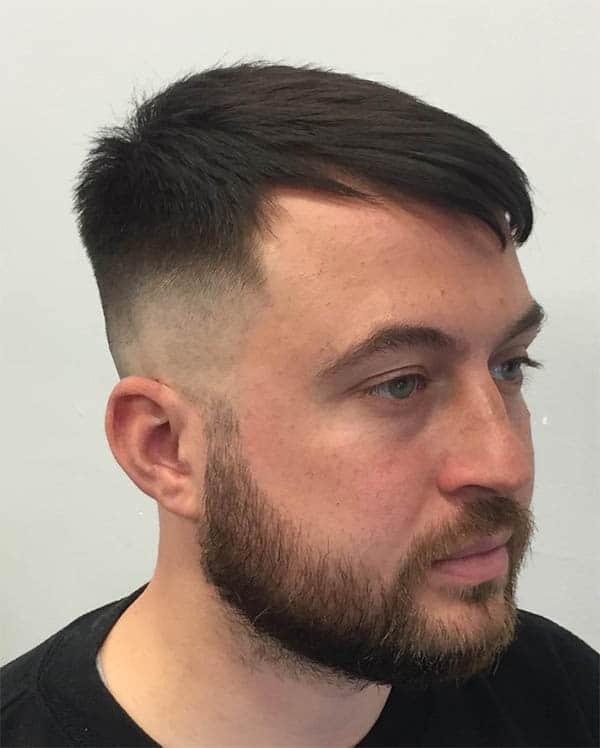 This easy fix haircut needs some parting at the side to finish the job. The pompadour hairstyle is a stylish way to reinvent the balding haircut. 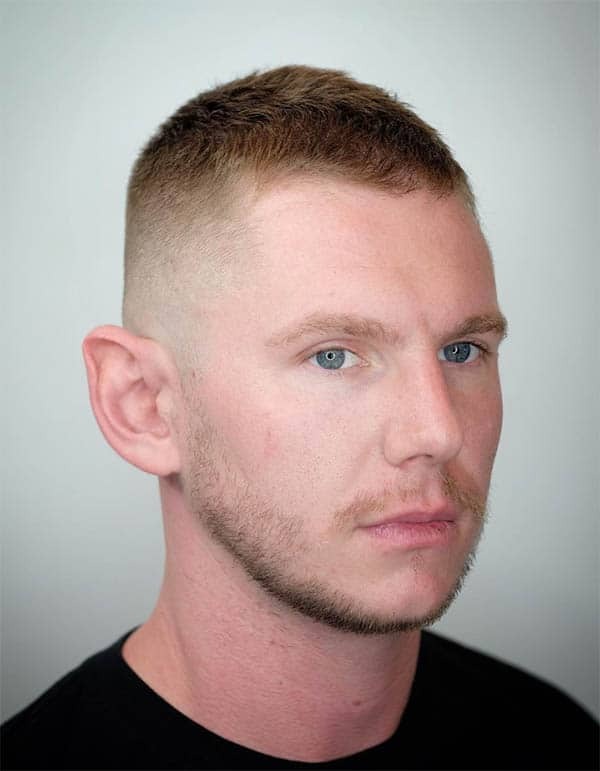 The pomp here is shorter and joins forces with the undercut to bring forth a glamorous look. This has an easy styling – a regular brush of the undercut at the sides is the magic! While this seems to be the traditional hairstyle for the student, it makes some impression on the balding man. This draws away attention from the hairline. It features fuller strands at the crown and front sweep of the top. The front sweep haircut seems to be having a field day on balding man. 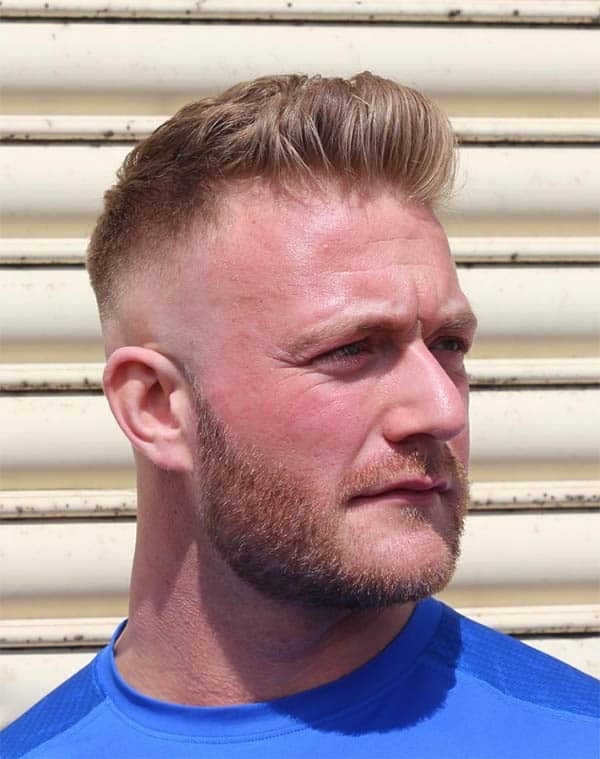 The never-out-of-style haircut retains skin and high fades at the sides and pushes the short spikes forward. While this can give away the secret, a great deal of styling can create some magical impression. You might not entertain the thoughts of side sweeping sparse hair. Directing the hair on the top to a side and finishing the job with a comb over can be the trick you are looking for. Fading the sides to conceal the balding at the temple can pull off the trick of covering the bald spots. The strategic positioning of the slick back and high and tight hairstyles is to create the feeling of fullness in the hairline. This cut is for the extremely bald man. 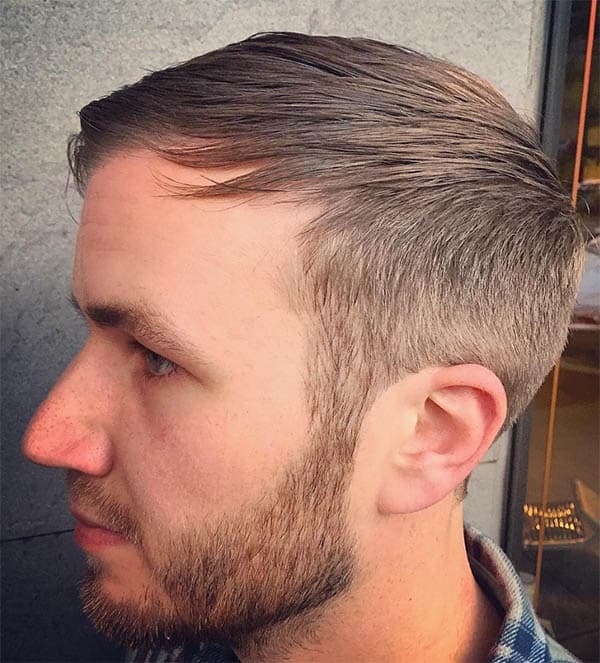 Keep high fades at the sides and roll back the few strands at the top in a slick. 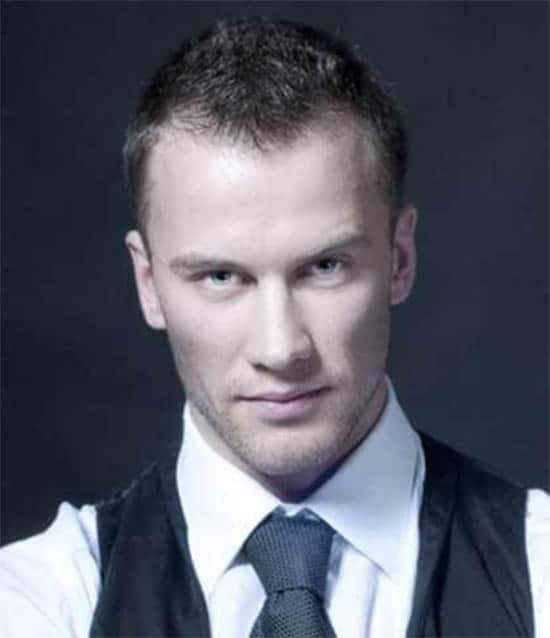 If your hairline has not gone berserk, the medium messy cut is a good way to style your receding hairline. 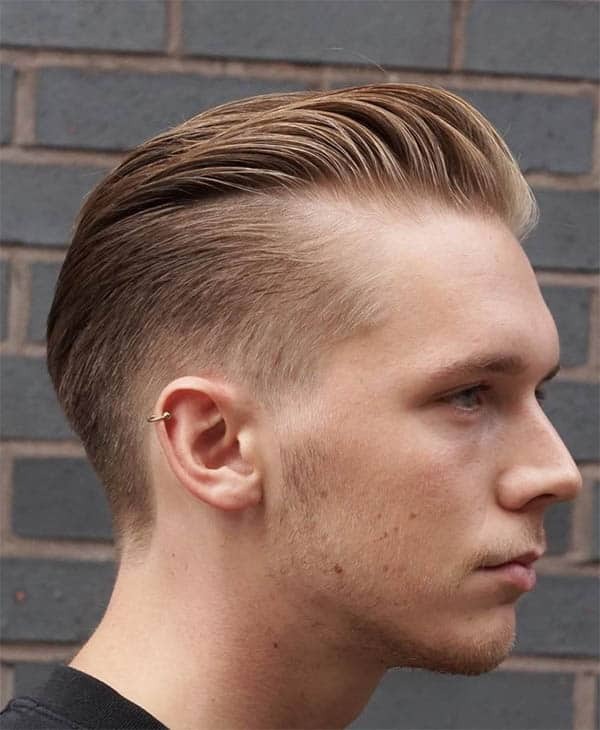 To achieve this, sweep up the frontal strands, add a razor part and spot tapered sideburns. 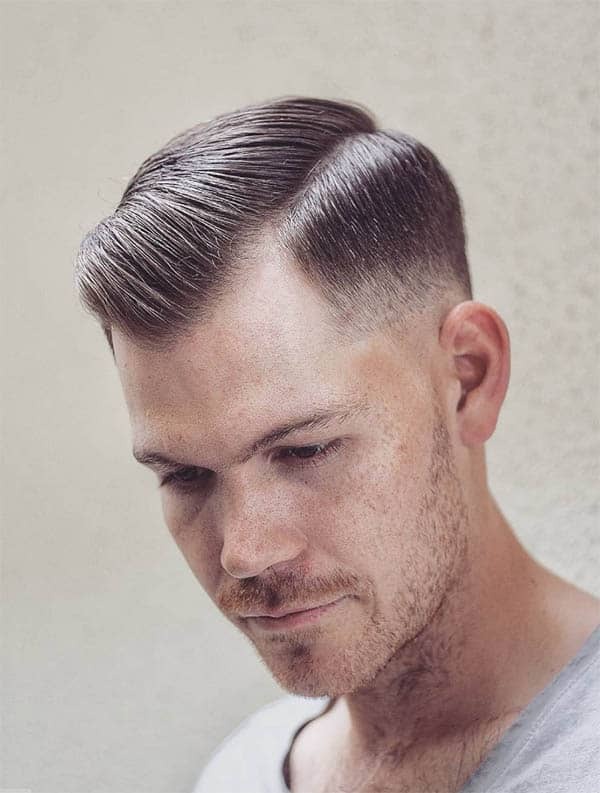 Side sweeping the strands is the way to go for the medium crew cut. The tapers come to the sides to enhance the look while the razor line makes an amazing transformation to the style. The secret to pulling off this unique cut is having natural strands. If you hair is curly, it will be a nice addition. Keep simple fades at the baseline and medium size wavy strands at the top. If you want to make it more stylish, push the top strands back in layers. The crew cut makes another entry and enhances the look of the balding man. The unique feature of the cut is the ability to adapt to different scenario. Now, it is working in unison with a side part to release a neat and smart look. The buzz is in contention with the crew to dominate the head of the bald man. However, the buzz cut has something to offer. Throwing some red shades to the style and maintaining a well-trimmed beard can help you pull off attention from the sparse hair. It is already a fact that the comb over pulls some positive stunts on receding hairlines. 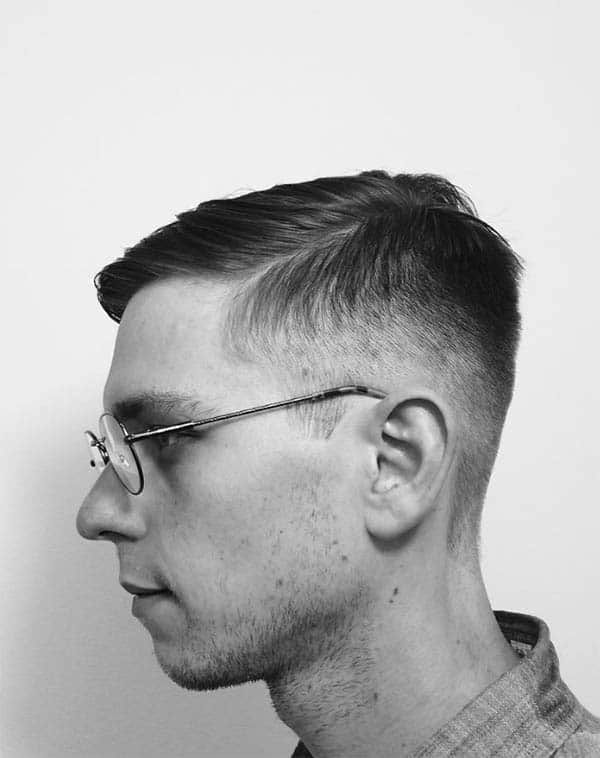 Now, it works in tandem with the razor fade to create a distinguished look. This style lets you convert your sparse hair to textured locks. You can divide the look by leaving crinkly ones at the crown and the locks at the top. Style by sweeping the front strands frontwards and don some tapering at the sides. The slicks are not just for the back. The sides can also get a feel of this amazing styling concept. If you have thinning hairlines and you are looking for the best way to conceal them, this cut is for you. Chop the side and back strands to uniformity and style. To achieve this cute haircut, prop up the long bangs at the crown and close in by sweeping the remaining bangs forward. Finish by adding some side fades at the sides. It is time to maintain your youthful look. The tapered cut and medium pompadour combination offers you a transformation to your balding sides. 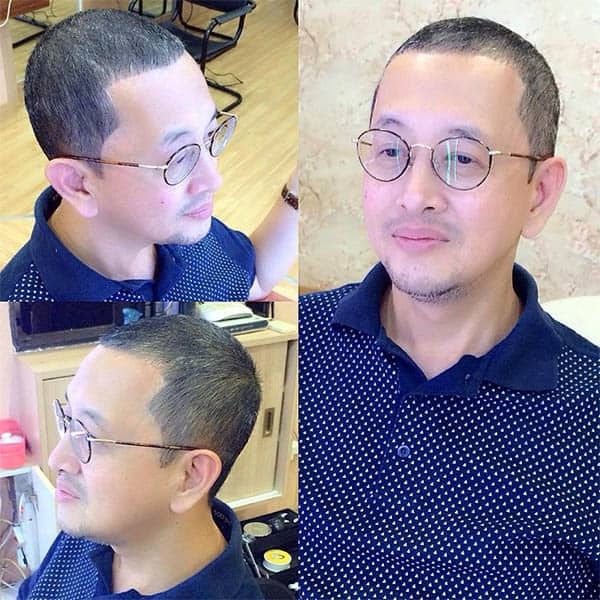 You do not have to worry if the fades might reveal your sparse hair. 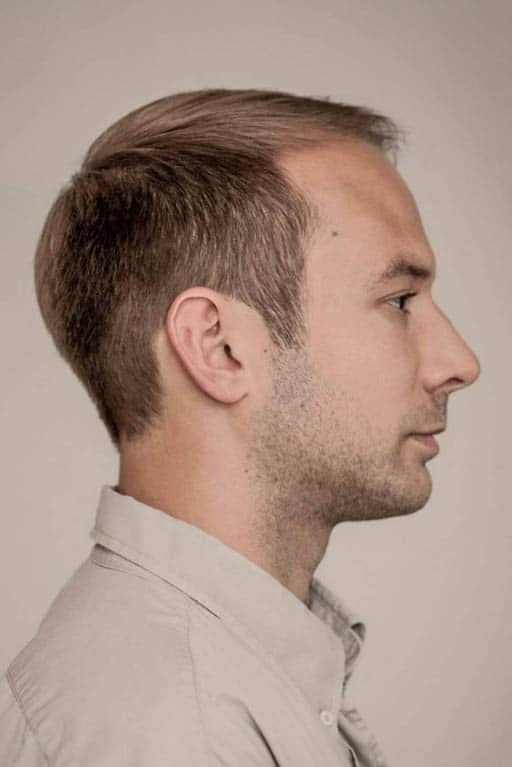 The clean lines at the temple and the medium length at the top are enough shields for your receding hairline. A side parting looks good on any man. 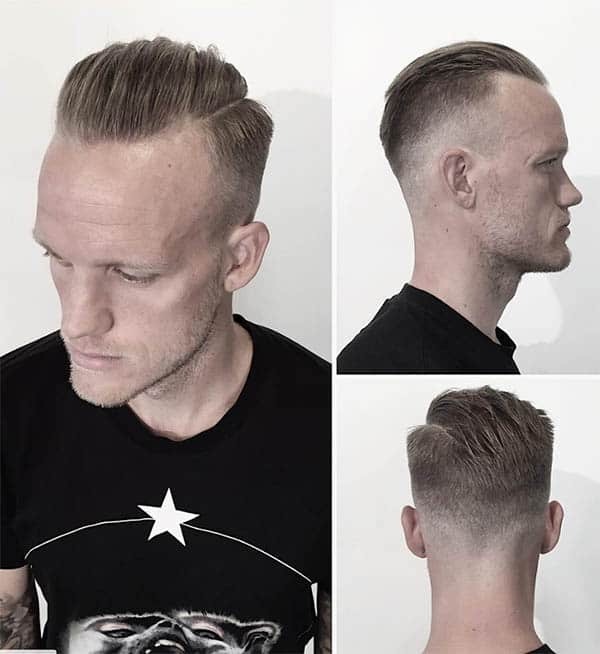 For the men that want to get into the vibes of youthful despite their thinning hairline, the comb over with a generous side parting will pull the trick. The crew cut makes a lot of outing on a bald hairline. It is time to spark up your hair fashion with a short crew cut with skin fades. 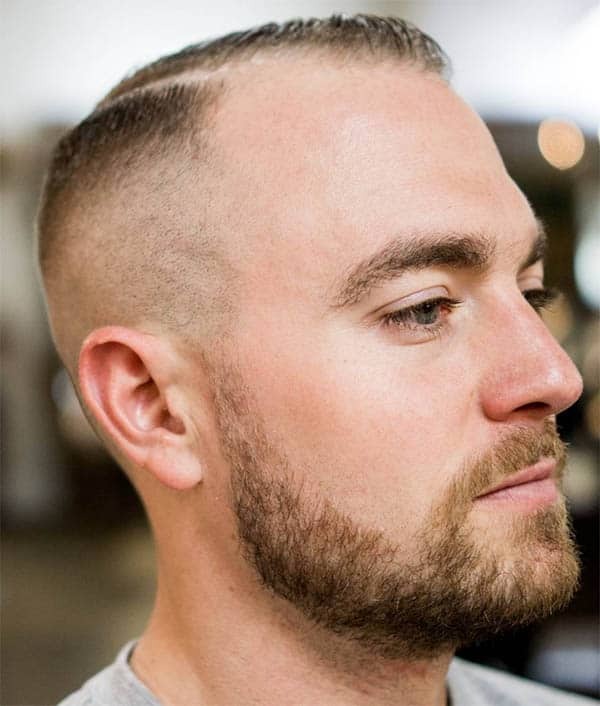 Rock this sleek look with mid skin fade. While the medium top stops at the crown, continue the journey with skin fades that stretch from the front to the napes. If you love adventure, a medium length strand at the top can be a handy tool in styling a braid. Take it further by applying skin fades at the sides and a razor line to create a distinguished look. This unique style offers you a stylish look on a platter of gold. The neatly groomed top gets backing with the shorter tapering at the sides. The sleek cut brings out the facial features despite the receding hairline. This cut is all shades of cute. The textured top can style to the sides or you employ the technique of side sweeping to keep it trendy. The razor line comes between the top and tapered sides to create a sleek look. There is a lot to do with the sweep back hairdo. Now, the focus is on bringing the retro look to life. 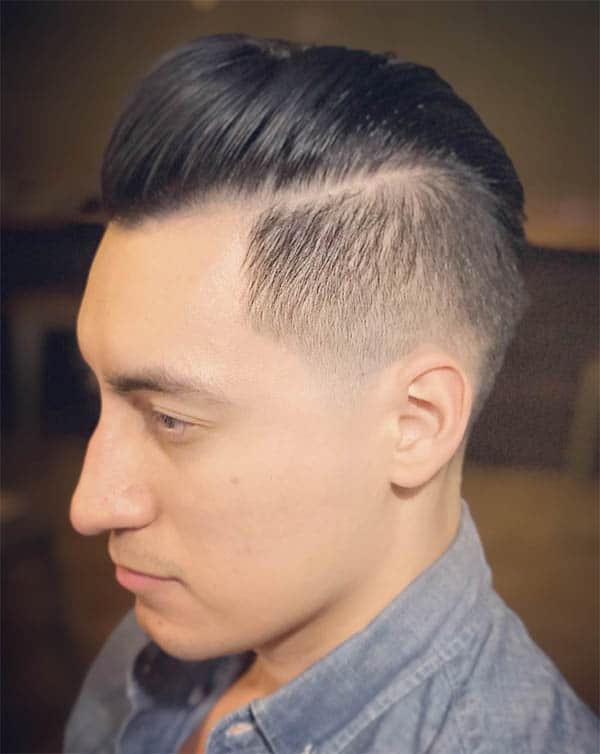 You can keep medium fades at the sides for a refined look. The quiff hairdo is a nice way to style a balding hair. There is no need to keep it long. If you are looking for haircuts for balding men, the shorter version of the quiff is a good option. You can combine with a comb over and faded sides. 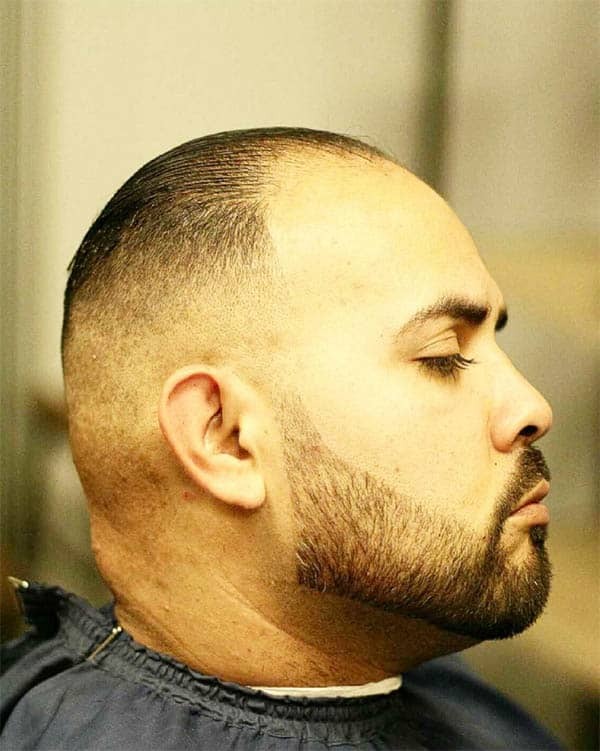 The spikes and crew cuts offer the best masking for a receding hairline. The two styles blend well and create a uniform look. Rocking a well-trimmed beard adds more trends to your outlook. The low self-worth that comes with having receding hairlines often put off most men. To cover up their balding hairline, they take to wearing face caps. However, you can still make a lot of impression with your sparse hair. 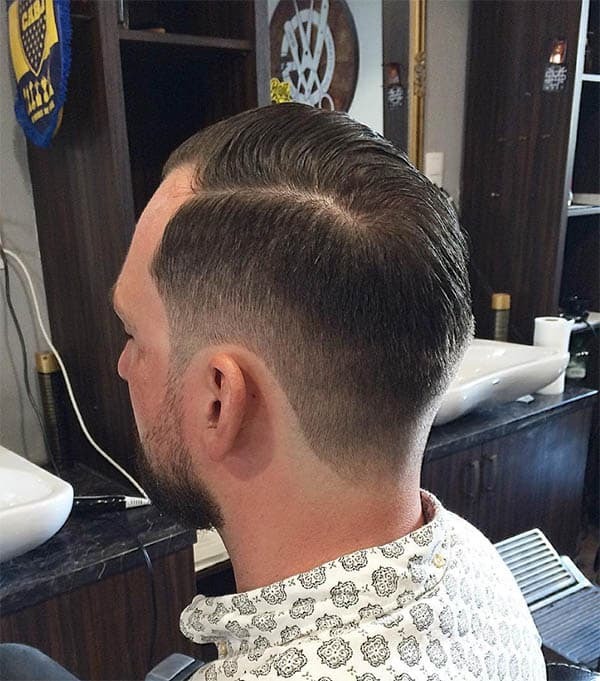 It takes the stylish skills of the barber to give you any of the clean cuts in the list. 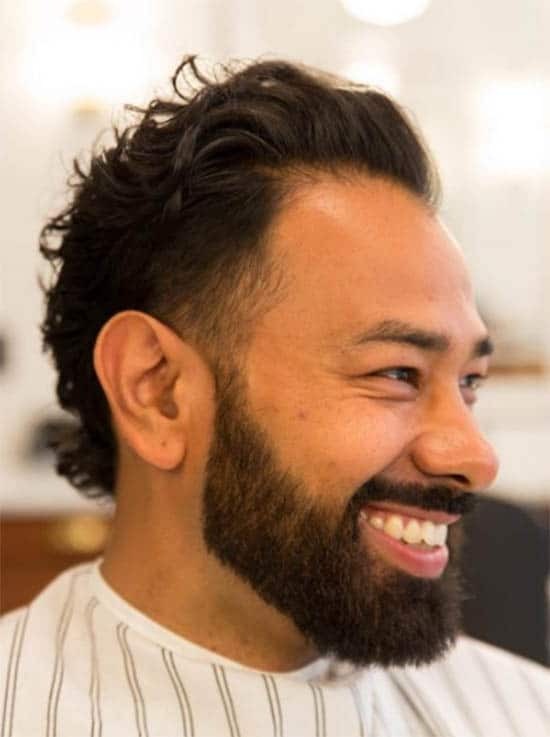 If you are yet to get a cut, inspire your barber with these haircuts for balding men and reignite your youthful exuberance.